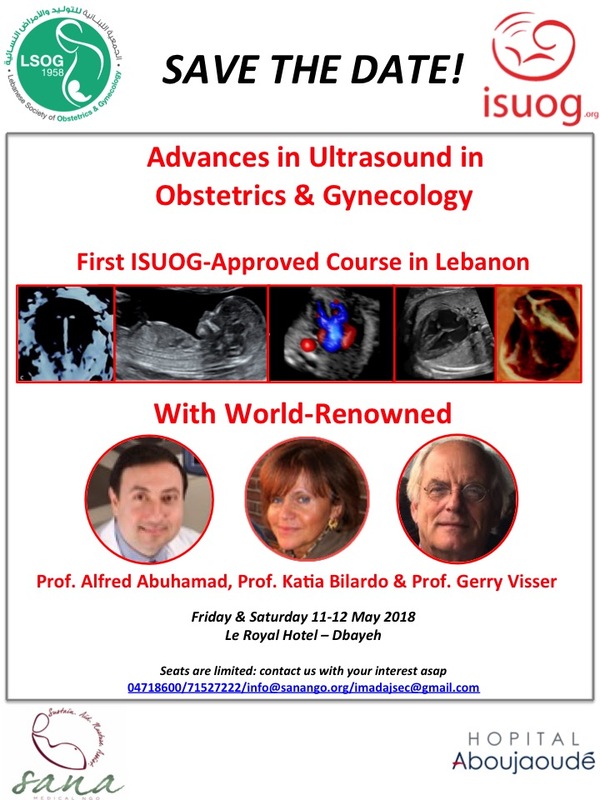 SANA is an NGO established in co-operation with the International Society of Ultrasound in Obstetrics and Gynecology (ISUOG) and produced in accordance with ISUOG Outreach guidelines. It is dedicated to serving the remote needy areas of Lebanon with the highest levels of home births and maternal morbidity and mortality. SANA’s aim is to provide assistance to the patients and caregivers in the from of education and training with the ultimate goal of impacting maternal and perinatal morbidity and mortality. 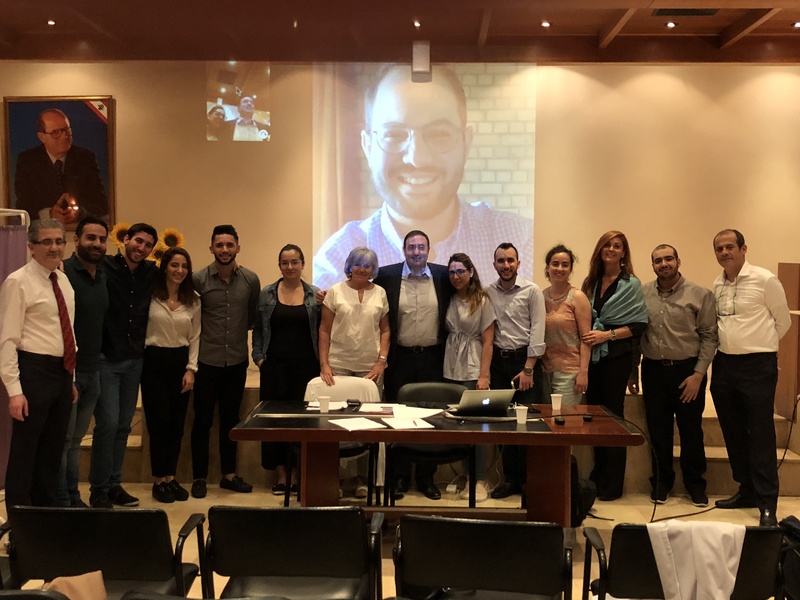 This may be accomplished by ensuring the availability and implementation of basic prenatal screening programs, identifying the high risk groups and planning their care, and through the introduction of obstetrical ultrasound to those communities. SANA provides theoretical, as well as hands-on training to the local caregivers, and upon completion of the training, provides the trainees with ISUOG Certification and the community with ongoing support. 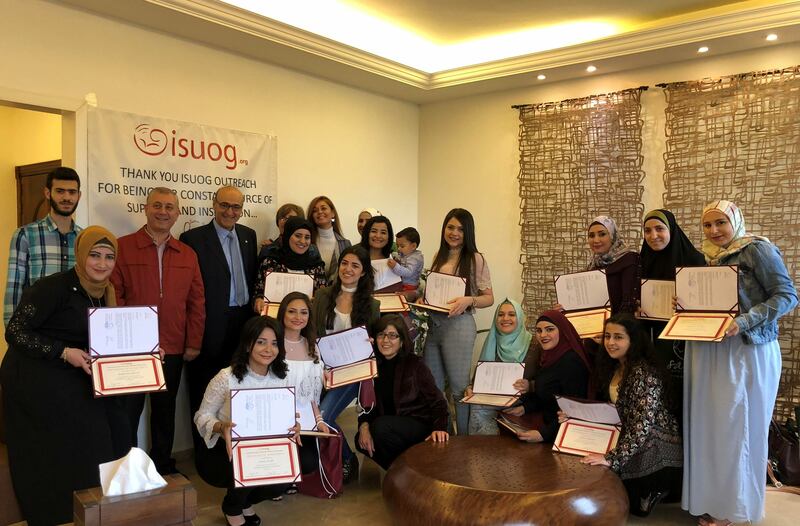 It was an historic moment for both ISUOG Basic Training and Lebanon as the first group of trainees received their ISUOG BT Certificates of Completion on 11 May 2018 following a year-long course run by SANA Medical NGO and Aboujaoude Hospital. It was a historical day for SANA as it provided ISUOG certification to its largest group of trainees ever. Today, 14 midwives, who have been working diligently over the past 2 years, received their well-deserved ISUOG Certification. 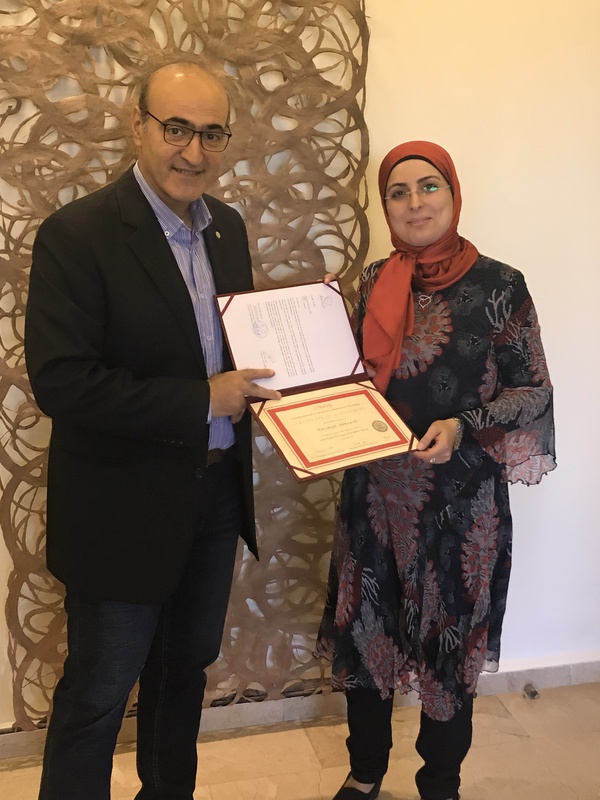 After several months of unwavering dedication, hours on the simulator and accompanying SANA on several mission, Midwife Nariman Abbouchi was awarded ISUOG Certification today. Dr. Issam Elias presented Midwife Nariman with her certificate and Dr. Reem S. Abu-Rustum provided her with SANA’s pin.